It was 11:30 p.m. on a Tuesday night. I was sitting in front of my laptop preparing for case discussions for classes the next day when an email popped up. It was from the CEO of an early-stage company I had reached out to about my WISE Fellowship project with Wharton Impact Venture Associates (WIVA). “I will be at Wharton tomorrow at the Steinberg Conference Center. Can you meet at 1:30?” My fatigue was immediately replaced by a sense of excitement. I quickly responded, coordinated internally to make sure my fellow WIVA team member, Rishabh, was also available at the suggested time, booked a room, put aside the cases, and began getting ready for the meeting. Before my time at Wharton, I had met with a number of management teams as a private equity associate, but I knew this meeting would be different from my previous experience — I was no longer in control of capital. I needed to convince the entrepreneur to partner with us and go through a yet-to-be-tested internal diligence and crowdfunding process with many uncertainties. The strategy was to convey our value-add from leveraging other resources we had other than capital, all while asking tough questions so that we could at least evaluate the company at a preliminary level. Prior to this meeting, I had never worked with Rishabh, who is a senior undergraduate student at Wharton. Had I known Rishabh as much as I do today in terms of skillset and capability, I would not have been stressed at all. At the time, I felt I had to be ready to put out fires if needed. I needed to make sure I knew as much as possible about the company as well as about WIVA, since there would not be a more senior team member at the meeting besides the two of us. I took a structured approach in my preparation. I drafted an agenda for the meeting. Brushed up on WIVA’s marketing and communication strategies by looking through documents on my team’s share drive. Combed through the research I had previously pulled on the company one more time. Reviewed news and headlines to ensure I didn’t miss any significant recent events. Re-read the email exchange to-date with the entrepreneur. Finally, I anticipated what questions the CEO might have on WIVA and planned the corresponding answers, and then I attempted to anticipate his potential responses to my “must-know” questions. Thanks to the preparation and Rishabh, the meeting went well. This experience was one of my most memorable moments of last semester. To me, WIVA was a lot more than a school project because we were working with full-time staff and with entrepreneurs on an event instrumental to the survival of their ventures — fundraising. WIVA was also an opportunity to research, debate, and potentially influence the strategies of a conceptual best-in-class impact investing fund. WIVA has been a tremendous learning opportunity and I am grateful for the support and the opportunity to be involved. Derek is a first-year full-time MBA student at Wharton. 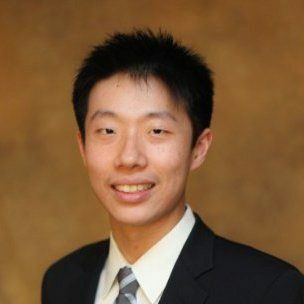 He has worked in investment banking and private equity and is interested in early-stage investing and entrepreneurship. He is intrigued by the concept of impact investing and was excited to be involved in this emerging asset class through WIVA during the fall 2018 semester.